Should You Pay Group Bonuses? Enhance Your Event with Immersion! How Can Facebook CEO Mark Zuckerberg's 2017 Resolution to Connect With More Americans Help Your Direct Sales Organization? It’s 2017, Do You Know What Your Field Leaders Are Doing? Vibrant, Full-Color Badge Ribbons Are Cost-Effective Add-Ons! Choosing an order fulfillment partner is serious business, but you can ask the right questions before making your decision. Once you find a partner whose warehouse location and services seem to match your basic needs, dig deeper to find out how well they will help you manage your transition. Do they have the technologies and processes in place to smoothly accept your data and incorporate it into their systems? From APIs to EDIs, make sure they’re using platforms that will work with your ecosystem, or that they have the technical know-how to integrate them. Will their technology provide you with the kinds of data you need to effectively manage your operations? You rely on effective reports, inventory visibility, and order information to manage supply chain, make marketing decisions, and keep a handle on daily operations. Make sure your new partner will be able to give you the tools you need. Have they demonstrated experience and knowledge in applying best practices for managing the transition? Look for an experienced management team who can answer all your questions about the transition to your satisfaction, and can point you to satisfied customers whose implementations were successful. These questions are the beginning of a crucial vetting process that will clarify your business needs and help find a well-fitting service provider that can help you grow. Multilevel compensation plans should motivate and reward 12 specific behaviors, one of which is becoming a leader. Many compensation plans include a group volume requirement. Did you know that how much recruiting is motivated from group leaders depends on your definition of group? 1. All downline representatives down to but excluding reps with a specific rank or paid-as rank equal to or above a specific rank and all of their downline reps, with or without temporary exceptions. 2. All of the reps in a specific number of levels, or qualified levels, of one’s downline. Most often, reps are included as members of their groups. 1. Your definition of group is the first definition above. 2. At the time of promotion to the first group leader rank, the representative promoted is being paid something upon the volume of the majority of his or her downline representatives. In other words, there are few representatives outside of their pay lines. Each compensation-plan-design decision, including whether you should pay group bonuses or not, should be made with full consideration to factors relevant to your company. April 4-5, Arizona. Register Today! It’s the most wonderful time of the year, right? The New Year symbolizes new beginnings, new budgets, new sales meetings, new dreams, new products, New Year’s resolutions... STOP! Is what you need a New Year’s resolution or a New Year’s revolution? We are at war, against time killers, dream stealers, the government and competitors. When it comes to our personal success or the success of our company, a resolution won’t cut it. We need a revolution. But we better not start a war that we are not prepared to win. When it comes to recruiting, start thinking like a rock star. Rock stars don’t just want to “get by”, “pay the bills”, or “have a nice retirement”. They want to rule the world. They have totally unreasonable dreams. Luck only happens to people who take the most action. If people are not calling you crazy, making fun of you because of your goals, then they are not big or crazy enough. Sound like a successful rock star? Sound like a revolution? As leaders we have to recruit people that are not average thinkers. We sell superior products so why would we have average people in our network? It takes the same amount of time to train average thinkers as it does disruptors. It’s not about trying hard, it’s about training hard. Let’s focus on finding the rock stars of the world and watch our business grow like never before. What are you willing to do that others will not? When you’re planning a traditional meeting or event, consider adding an immersive, experiential component to enhance the audience experience and deepen engagement. This additional layer is what we call, “Immersion”. An Immersion area is a dedicated space that allows your audience to engage deeper with your brand or message through sensory experiences. The Immersion area doesn’t even have to be immense. Develop a simple, scalable model for how to integrate an Immersion component with your event. In Tier 1, your audience hears the plan and message then gets to see it and experience it. Simple graphics, visuals and interactive opportunities are installed in a dedicated space where visitors can read and look at sales and marketing materials first-hand. Tier 2 builds on the first tier by tapping into the audience mindset. Tier 2 activates a business initiative by creating a physical, immersive environment that attendees can walk into, mimicking experiences a consumer would have with your brand, service or message. Building on the second tier, Tier 3 has multiple brands and products activated in a dedicated space, creating full-scale, dimensional branded environments complete with trained brand ambassadors, product demos and sampling. While every stage of Immersion is an effective method for increasing engagement at your meeting, work intimately with your brand/marketing team to understand their motivations, objectives and target audience, then apply an immersion strategy that delivers on those goals. In the world of direct selling, cost-cutting measures are often an unfortunate necessity. Marketing costs are often the first casualty of such cost-cutting measures, but without the ability to reach one’s customer base, the business cannot survive. Email newsletter services can help direct sellers set their business up for success and manage costs. E-newsletters connect customers directly with consultants and provide actionable data to increase sales. What’s more, e-newsletters can be tailored to the client’s specific needs. Unauthorized sales are problematic for many direct selling companies in the United States. Impermissible sales can also pose a challenge on a global scale. Fortunately, direct selling companies are not without recourse for unauthorized sales occurring abroad. For starters, companies might rely on trademark infringement and unfair competition legal theories. In India, for instance, even authentic goods can infringe on a trademark if there are “legitimate reasons for the proprietor to oppose further dealings in the goods,” as set forth in India’s The Trade Marks Act. Such “legitimate reasons” can include differences in quality controls, services, and benefits that are unique to goods sold through authorized channels. In the European Economic Area, meanwhile, companies can consider implementing a selective distribution system. When a system includes strong quality control requirements for authorized sellers, a company might be able to assert trademark claims based on the reputational harm caused by unauthorized sales. If a country’s trademark laws do not support infringement claims, however, a tort claim such as passing off might be viable. Similarly, if an authorized seller markets goods in an unauthorized manner, the seller might be liable for breach of contract. Additionally, an unauthorized seller could be liable for tortious interference with a contract if he causes an authorized seller to divert goods in violation of company policies. Finally, companies might be able to turn to laws regulating the marketing and sale of food, supplements, and cosmetics for support against unauthorized sellers. Can we handle volume surges? When order volumes surge, does it trigger operational hiccups? If so, reevaluate your staffing and processes, or look for a third-party logistics provider (3PL) that can quickly add warehouse space, hire workers, and leverage systems to handle volume spikes. Are we meeting target operational metrics? Some direct sellers struggle with this question because key performance metrics (KPIs) have not been established. Don’t measure the quality of your operations by “noise level” (# of customer complaints). Get more data-driven. Utilize established KPIs and report on those metrics regularly. Do we have enough physical space to support growth? Too many companies wait until their warehouse is full before searching for additional space. But do you want to be in the real estate business at all? By working with the right 3PL, you can easily expand space while preserving your capital. Are we paying too much for small-parcel shipping? Shipping is your largest fulfillment expense; regularly assess your parcel rates and strategies. Smaller volume shippers may be better off shipping under the account of a fulfillment company, if that partner’s rates are better. Are we able to meet customer demand for faster delivery? Consumer expectations for rapid order fulfillment are getting more aggressive. No direct seller can ignore it. One “future-proof” solution is to partner with a logistics provider that has multiple fulfillment locations across the country. Many people, including Zuckerberg and myself, plan intentionally to make this year better than last. Inspired by fresh starts and with our salesforce spending much of their lives on Facebook, what if we "followed" Mark's lead and challenge our teams to connect with people in their communities? What would the impact be if you and your management team increased your connection with the field face-to-face? Zuckerberg recognizes that the twin forces of technology and globalization have created silos. He wants to talk to real people, and to blend online worlds with live interaction. He's discovering the "and" not "or" with social media. I achieved my 2016 resolution to earn a certification as one of 250 inaugural professional coaches worldwide in Conversational Intelligence®. My 2017 goal is to take this methodology, combining neuroscience with coaching, to the direct sales world and help leaders, teams, and organizations build stronger connections, deepen trust, and have conversations that matter. My belief is that we will reduce external and internal industry threats and improve effectiveness by amplifying the power of conversations. We need home parties and face-to-face interaction to bring people together, foster relationships, and generate customer loyalty. Several company leaders recently expressed frustration and acquiesced, "My field lives on Facebook so we are focusing on online parties." Take the lead from Mark Zuckerberg and inspire them to connect live with more people in 2017. Help them have real and effective conversations with real people in real life. Dive in, socialize, and make meaningful connections! More than any other business models, direct selling companies know the importance of “striking while the iron is hot” in capturing a sale. A consumer’s desire to buy anything can be fleeting. Sales consultants need tools to close sales quickly and securely while ensuring a positive buying experience. Direct selling companies that don’t take mobile payments are at a disadvantage. 2. Card Industry (PCI) data security standards. 4. Millennials’ preferred payment method is credit cards or mobile devices. Traveling Vineyard – a direct marketer of wines through in-home wine tasting events – understood how an iOS application could increase the company’s Wine Guides’ performance, as well as streamline customers’ purchasing experience. Ensuring that the solution was integrated with the analytics and reporting back-end were also key. The CardFlight SDK platform, encrypted mobile card readers – together with CardFlight’s gateway – now allows Wine Guides to accept magnetic stripe and EMV chip card payments. Sales are completed quickly, instances of order abandonment are reduced, and credit card processing costs went down. Technology is moving faster than ever before. To keep a competitive advantage a direct selling company must and should be able to make decisions faster than anyone in their field. You can not wait until the end of the month to know your numbers. You have to be able to gather data from different sources and putting them a simple format to make an intelligent decision. - What the sales will be by the end of the week or month. - How many new distributors will be joining in the next couple days. - Find out the group of people that might churn within the next weeks. - What can you do before anyone cancels their account. 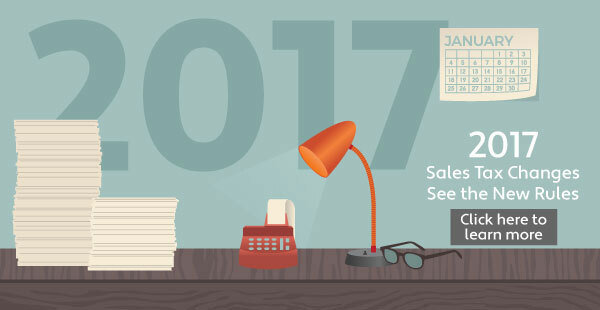 Companies in direct selling will change forever in 2017 if they use their data and analytics to their advantage. It might take time, money and resources to learn how to do it, but it will be one of the best decision you will make for your business. Sales tax doesn’t often make headlines, but with changes in multiple states, sales tax is making waves and reshaping the way companies in the direct selling industry manage their business. • The state sales and use tax rate in California will drop from 7.5% to 7.25% under Proposition 30, which temporarily increased the rate by 0.25% through December 1, 2016. The state rate decrease also affects certain partial state tax exemptions. • To offset a recent gas tax hike, the state sales and use tax rate in New Jersey will decrease from 7% to 6.875% on January 1, 2017. It will drop further in 2018. • North Carolina use tax will apply to businesses storing tangible personal property or digital property in the state for any period of time. This expansion of use tax is due to the enactment of Senate Bill 729. The New Year brings new taxes, new exemptions, and renewed efforts by states to implement internet sales taxes so get ready! As the new year begins, many Direct Selling companies are preparing to implement different initiatives as part of their overall field strategy. Training programs are being updated. Incentives are being refined. Recognition is being revamped. The importance of these initiatives is increasing as the rise of the “shared/gig economy” provides independent workers (i.e., field leaders) more choices and emphasizes the need to create additional value for your field. Success of your field strategy requires joint investment, commitment and effort from both Home Office and field leaders. So, with that in mind, do you know what your field leaders are doing? Are your field leaders committed to growing, leading and training their teams? Are they focused on your business or splitting their time across different businesses? Are they performing as leaders, business owners, glorified cheerleaders, etc.? Your field leaders represent the heartbeat of your sales organization and you need to not only understand what they are doing, but also their mindset. No matter how long your field leaders have been with the organization, if their mindset isn’t there, neither is their level of engagement. If they are not engaged, the desired effort you seek from your field strategy is diminished and in addition to NOT achieving your goals, your ability to realize positive returns on your initiative investments is jeopardized. So, I ask again, do you know what your field leaders are doing? More importantly, can you afford NOT to know? A successful marketing campaign tells a story. It captivates the audience, captures their interest with dynamic characters and appeals to universal values. It is no wonder that developing a strong brand message can be as complex as writing a good book. In an industry like multi-level marketing where local affiliates, independent suppliers or downline sales networks represent large corporations, a consistent story is not just important; it’s mandatory. In the past, corporate compliance have developed explicit policy to help avoid misrepresentation on a local level, but with the help of marketing automation technology brands are able to combat the issue. Using technology to spread a brand message is key. Marketing automation allows a brand to maintain an identity (or story) and creates a seamless journey for every customer from initial discovery to repeat purchases through personalized, multi-channel messaging. Customers expect a consistent brand experience, regardless of whether they’re ordering a pizza, buying makeup or investing their life savings. It builds trust, loyalty and engagement; plus, automation is the key to ensuring the brand experience is uniform across all marketing channels. After all, you don’t want your audience to be confused with your brand; instead, the goal should be for your audience to understand and engage with your story. So what is your story, and how are you going to tell it? The popularity of badge ribbons as a name tag social tool has skyrocketed in recent years. As meeting planners know, they are a relatively inexpensive way to reward, categorize and connect attendees at any type of meeting or event. What a perfect way to welcome new independent consultants to the business! Advances in printing technology are reducing the cost of a badge ribbon with full-color printing — such as a photograph. The price of material and production time is now a small premium above standard one-color imprint ribbons. Examples include building excitement around a product launch with a photo of the products, rewarding success trip winners with an iconic landscape printed on the ribbon, or ensuring that top performers or VIPS truly stand out from the crowd. Our tip about badge ribbons? Always purchase from an experienced supplier. Some manufacturers like to cut costs is by using a lower quality self-adhesive tape to attach ribbons to the badge. No one wants their hard-earned badge ribbons all over the floor! Suppliers should give samples to field-test around the office. Remember, the more ribbons bestowed to consultants, the stronger the tape must be to handle the added weight. Editor's Note: The content, opinions and views expressed in the articles in SupplierSource are solely those of the authors in their personal capacity and do not represent the views of DSA. None of the articles in SupplierSource should be construed as legal advice. Please seek legal counsel if you have questions pertaining to any legal matter. Copyright © 2015 Direct Selling Association, All rights reserved. The Direct Selling Association (DSA) is the national trade association for companies that market products and services directly to consumers through an independent, entrepreneurial sales force. More than 18 million Americans are involved in direct selling in every state, congressional district and community in the United States. In 2014, direct selling contributed more than $34 billion to the U.S. economy.